How long have you been eco-friendly? I think I have been eco-friendly since my childhood. I have always cared about the environment amongst many other things. Throughout the years I have become more familiar with helpful resources and have gained more knowledge about the environment. The difference between now and then is that I am more aware of the impact that we have on the environment and I am more sensitive to the beautiful impact that "nature" has on us. Why did you choose to be eco-friendly? As a young girl I have come to admire the beauty of simple and natural things. I grew up overseas so even though we owned a washer and dryer, I learned very quickly that clothes last longer when we don't put them in the dryer. I learned early that "less is more" when it came to technology (and other things for the matter). I remember how one of my aunts had an employee who was in charge of her laundry and he would use those old irons that you put charcoal in. It used to puzzle me, they had electric irons but I noticed as a child that electric irons get replaced quite often while the old school one was totally dependable. That man told me one time that they press better than modern irons. I never cared to question his statement! In addition to this, I made little observations that proved the benefits of eco-friendly living like the fact that solar heat was free and always available while dryers can break down, need repairs or replacement. It's quite clear that simpler is better. So I developed a great interest in the environment, studied Industrial Hygiene in college and enjoyed political science classes that taught us to debate the necessity of a better environment. So living an eco-friendly life is just part of my belief system to such an extent that I don't think I chose it, the lifestyle was shown to me and I embrace it! What do you like about it? Well, it feels good and it's just natural!!! The thing is, most of us want to contibute to something bigger and we all long to do something worthwile. Not everyone will be a humanitarian or philanthropist, but everyone has the ability to adhere to a Green lifestyle or adopt some Green habits! It feels good to live eco-friendly, it's better for our lives and we are part of this universe, there's something in all of us that's connected to nature so I think that's why it feels right to do more eco-friendly things. Did you face any challenges? If so, what was/is the biggest obstacle(s)? I did not face any challenge per say. I had a situation where my in-laws not being used to recycling had to be repeated over and over not to trash certain items. Although it took constantly reminding them , I did not see ita as a real challenge because I knew it just was not part of their habits. I don't think there's a big challenge to being eco-friendly. When we know what it is we want to do we tend fo find solutions when we really want to do it. I also think that when other people around us do not care to be eco-freindly, we do not have to wait for their approval. We only have to do what we believe in and just hope that they will end up seeing the benefits. So even if it's challenging for the people to support us, when we stay consistently in our endeavors we always end up making new believers in our efforts or causes. I know that by recycling consistently other peoples, including some relatives and some friends have developed more interests in Green living. But we can't change people, we can only influence them and this is done by setting an example and being consistent and practicing what we preach! Any tips/advice for someone looking to be more eco-friendly? My advice is to start where you are at. Decide what you can do now and be great at it until you can start doing other things. For example when someone is not used to recycling it takes time to remember not to throw away certain things. Do the best you can but start now and keep at it until it becomes natural. The most important thing is to START. That goes with anything worth doing. Just get it started and stay consistent, until it becomes a habit. It feels good to do what's right, so I think in the long run it's the feeling we get interiorly that motivates us to keep living an eco-friendly life and become a role model to others. My advice is that it's worth trying, it's easy, you don't have to be a fanatic, just pick something and be great at it, it's rewarding and it's fun to get the whole family or a circle of freinds involved! Going green can be complex. This discourages a lot of people. There’s really no “right” way it’s basically trying to do something than nothing at all. I sometimes feel like a green hypocrite. Do you feel that way sometimes? No I don't feel like a hypocrite because I am comfortable about what I can and can't do or what I will or won't do. I beleive in eco-friendly living but for example I don't know how to get rid of ants in a Green way so I do use a commercial chemical once in a while. I don't use chemical as my first alternative but I resort to them when I'm out of options. Once I come up with better alternatives I will be able to do better. I am excellent in some areas and not so great in others but I don't think it makes me a hypocrite. We all have areas of strengths and weaknesses and that's all it is! I can see how others can be discouraged, it feels overwhelming at first and that's a feeling we all get when we try and start something totally new. It requires a change of mindset and lifestyle and it's easier to live eco-friendly when we are in an environment that supports it, educates about it, and expects it from us! Living eco-friendly comes easy to some people in certain parts of the world because thay are not so dependent and so spoiled when it comes to technology. I think the American culture and the dependence we have here on technology makes it harder for most people to adapt to it! Walking and biking comes more naturally to some cultures while here people have to be educated on the health and economical benefits of walking and biking. It takes time to change, especially as a nation, but it's important to start somewhere and it's important to have more programs educating people on why it's better to live an eco-friendly lifestyle. You know I gotta ask, How long have you been natural and how do you keep it so FLY? I decided to go natural last year (2010) and honestly I am still a salon addict, I prefer having someone do my hair than doing it myself, so my best way of keeping it Fly is having experts hook my hair up (smiles). I don't like the messy look so I love having my hair straight or braided. Is there anything you like to add? 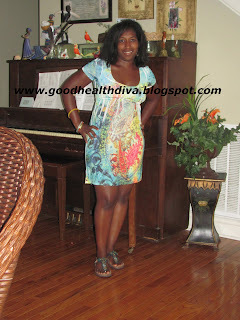 I have actually written an article on the subject and since I blog about natural living I just want to invite all your readers to follow my blog and feed on the inspiration. 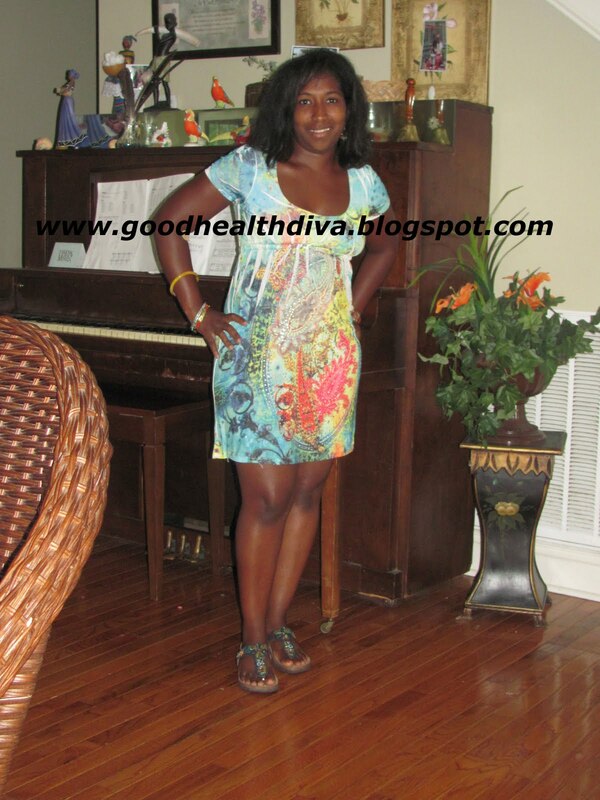 GoodHealthDiva I also want to thank you for the opportunity to be featured on you blog. I love the fact that we share common passion for protecting and caring about our beautiful world! Thanks for raising awareness on the necessity and benefits of Green living!